We are advertising our first event with Friendswood Friends Church. 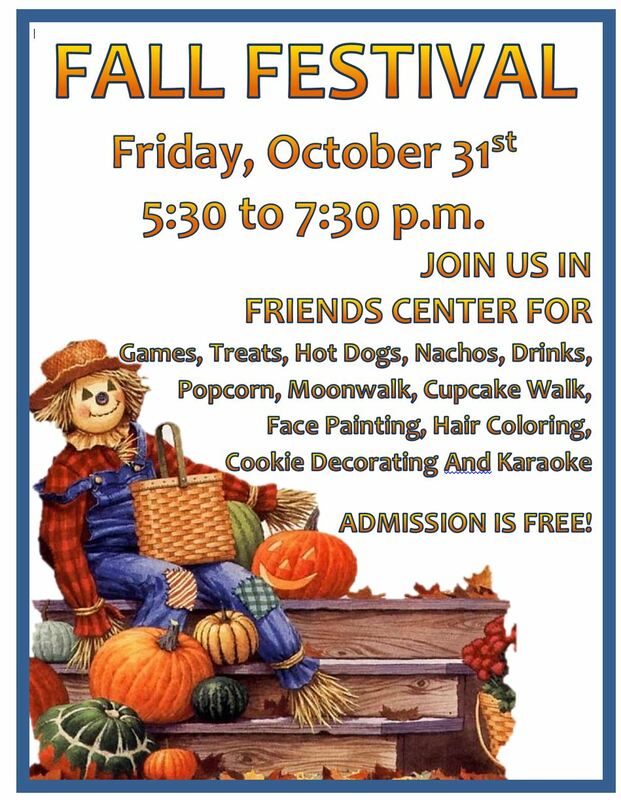 Friendswood is hosting a Fall Festival as a family friendly event Friday, October 31st from 5:30-7:30 P.M.
Games, Treats, Hot Dogs, Nachos, Drinks, Popcorn, Moonwalk, Cupcake Walk, Face Painting, Hair Coloring, Cookie Decorating And Karaoke. October 12, 2014 Edward Comments Off on Family Fun Night!